Friday afternoon is always great fun at Crug Glas, there’s a real buzz in the atmosphere as people go about their final duties and make sure all of the arrangements have come together correctly. We were putting up the signage and gazebo one year when the Lecarrow Lazers rode in to see if they could have lunch. 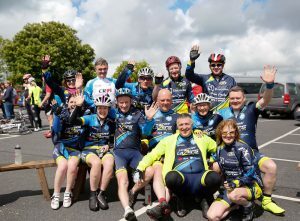 They’d travelled from Rosslare on the boat and cycled down the A487 from Goodwick and we all enjoyed getting to know them as we got ready to welcome the first riders at 3 o’clock when registration was due to open. 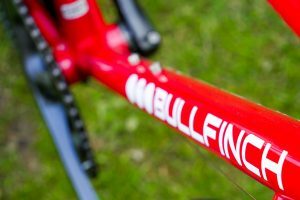 We will have a mechanic available for anyone wishing to have their bicycle repaired or checked over and riders will be able to choose a bike from the fabulous Bullfinch range and take a test ride. Friday Evening at the Tour. 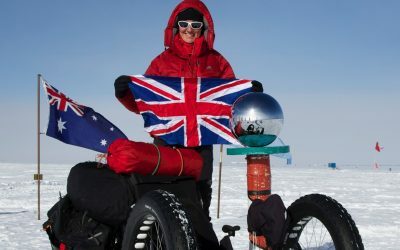 This year we have three guest speakers plus a delicious fish and chip supper (all diets will be catered for) so Friday evening will be a great social occasion and a wonderful opportunity to meet our guests and catch-up with a few old acquaintances. 19:30hrs – Adrian Passmore; The design and build of a great British bike.